A BPMN designer for all people, and all projects. 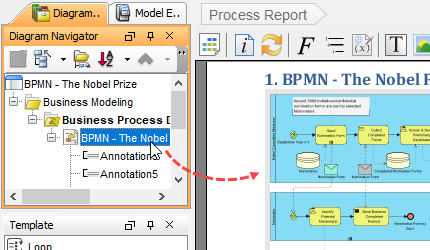 Looking for a BPMN tool? Better processes produce lower costs, higher revenues, motivated employees, and happier customers. 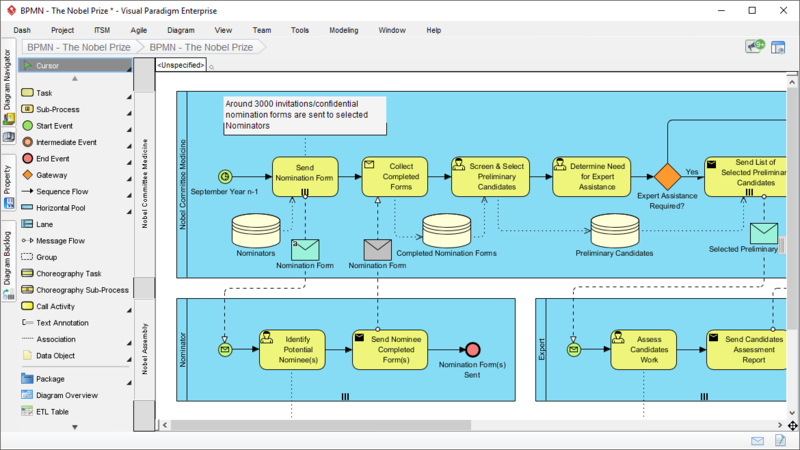 Visual Paradigm provides complete Business Process Model and Notation (BPMN) support, with sophisticated BPMN tools, and supporting features for report generation, glossary management, team collaboration and communication. It seamlessly integrated with other complementary open standards such as UML, Mindmap, Decision table, CMMN, Zachman framework and many more! 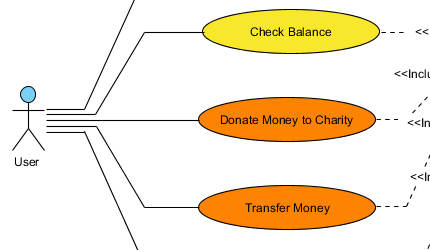 Furthermore, you can put the diagram into actions by using the unique diagram animation and simulation capability. Map process with Any Standards such as use cases, user stories, wireframes and etc. Link important keywords to centralized glossary repository. International IT Award winners trusted by over million of users, government units, blue-chips and business and IT consultants. Cross-platform support: Windows, Linux, Mac OS and etc. One-Stop-Shop BPMN tool for enterprise architecture, business process improvement and full software lifecycle development platform. Hassle-free report generation and corporate report designer. Rich online resources available in VP Community Circle, active user forum and know-how blog. Granted free access to online drawing tools for users under valid maintenance plan.